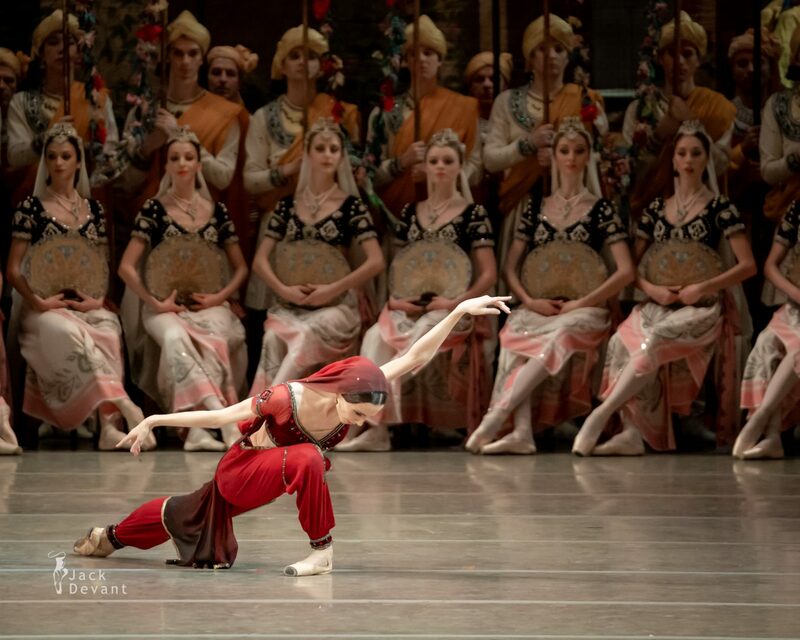 Svetlana Zakharova (Rus Светлана Захарова) as Nikiya in La Bayadere, Flower Basket scene. Music by Ludwig Minkus, choreography by Marius Petipa (1877), revised by Vladimir Ponomarev and Vakhtang Chabukiani (1941). Shot in Mariinsky theatre on 30.12.2018. Photo by Jack Devant ballet photography © with kind permission of the Mariinsky Theatre, special thanks to Svetlana Zakharova and Ekaterina Ordovskaya.